Whether you’re training for a specific event or you’re a weekend warrior who enjoys getting physical, strength and conditioning training is an unbeatable combination that minimizes your risk of injury by maximizing your body’s potential. 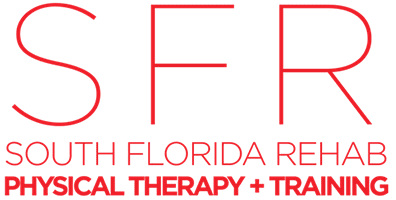 The trainers at South Florida Rehab and Training Center (SFR) in Miami make it their goal to provide programming that keeps you in the game, performing at your best. Now is the time to start your strength and conditioning training by calling or booking an appointment online. Why do I need strength and conditioning training? By conditioning these three areas, your body can undergo physical activity for longer stretches by expanding the capabilities of each. In a more customized approach, the trainers at South Florida Rehab and Training Center focus on the specific activity you’re engaged in and come up with a program to enhance your performance in that area. For example, if you’re a pitcher, the trainers work with you to condition your arm to prevent overuse injuries. What can I expect in strength and conditioning training? For any athlete, good overall core strength is more than a bonus — it’s a necessity. Many of the exercises the trainers at South Florida Rehab and Training Center recommend targeting your entire muscle health, especially your core muscles. In other words, any activity that places an intense demand on your body for a sustained period works to improve your conditioning. What equipment works best for strength and conditioning? To get into the best shape possible and avoid injury, call South Florida Rehab and Training Center to get started on a strength and conditioning program. Or, book an appointment online.